Following in the footsteps of found-footage horror films before it, The Possession Of Michael King sets out to scare using only a security camera and a couple aerial shots of a living room. The story follows the titular character Michael King, a documentary filmmaker who, after the recent loss his wife, is suddenly compelled to search for the existence of the supernatural. Of course, like a typically cocky documentary filmmaker who doesn’t get the proper permits to film, Michael upsets the spirit world and soon becomes the subject of supernatural harassment. 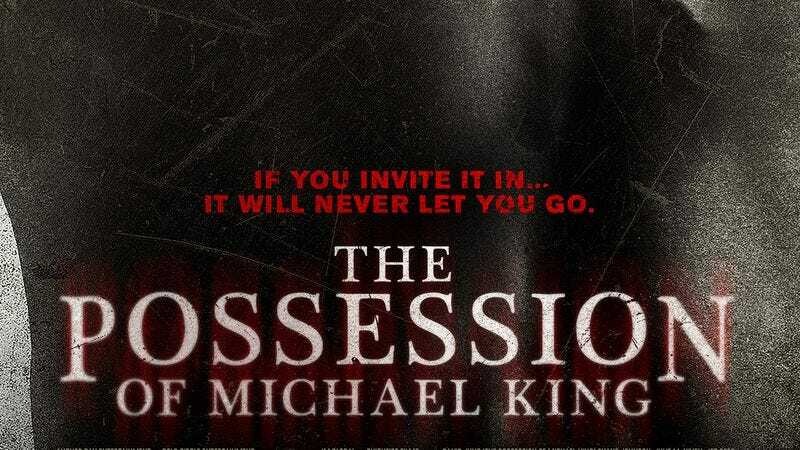 The Possession Of Michael King hits theaters August 22, but The A.V. Club has an opportunity for you to attend an early screening on August 14, in Chicago at The Portage Theater. To enter, simply follow the link here and fill out your information. Remember, seating is first come, first serve; so arrive early! A synopsis and trailer for the film can be found below.